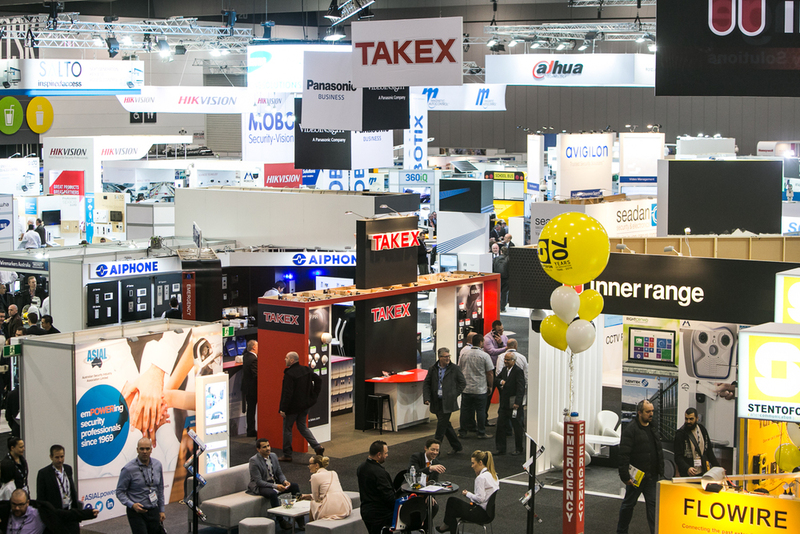 The 2016 ASIAL exhibition and conference has recently ended and similar to previous years, the exhibition was swamped with CCTV products and vendors. The exhibition attracts not only the leading Japanese, Chinese and European brands, but also the smaller Asian manufacturers. The breadth of CCTV products available is nothing short of staggering and probably far more than is required for the Australian market. Cameras aside, the intelligence in CCTV systems continues to improve and impress each year. A while ago we wrote an article titled CCTV monitoring, the elephant in the room. It was about how CCTV operators will miss 95% of all activity after just 22 minutes of monitoring a camera network. The need for business to be able to sensibly manage large numbers of CCTV cameras is an ongoing challenge, so this year we went looking for intelligent solutions that would take the reliance off humans (somewhat) and add some value to enterprise CCTV systems. Tracking people of interest through a camera network has always been a challenge for CCTV operators. While CCTV systems almost always use logical naming conventions, they are typically created with just the individual camera in mind. For example, a typical description might be “camera 32 – ground floor south entry”. They are named so that the camera operator knows which camera relates to any part of the building and is all perfectly logical. Logical until there is a need to track a person of interest across the camera network and then things can become a little complex unless the operators know the camera network intimately. Does the operator know that the next camera view in sequence after camera 32 is actually camera 12? And if the person turns left they will come into view of camera 47 which will then lead into camera 53. But if they turn right, they will need to bring up camera 18 which will then lead into camera 21. Huh? Confusing isn’t it? These are the real-world challenges of managing and operating large-scale CCTV networks. Cameras are not only added over time, they can be relocated, renamed and repositioned, meaning what was logical at one stage makes no sense at all sometime later. This is where Snap Surveillance can be a really valuable tool for larger CCTV systems, particularly those that are managed from within a control-room environment. Using a unique algorithm, the application understands the relationships between cameras making the tracking of people simple and intuitive, regardless of the path of travel. Each camera view brings up the next logical cameras in the path of travel, which the operator can select in sequence. It also has some really clever search capabilities such as identifying the path a person took from any given location. It’s incredibly clever and demonstrates the level of capability we can now achieve in a control room environment. The other CCTV product that really impressed us was Ipsotek. Ipsotek is a third-party video analytics application that interfaces to a variety of enterprise level video management systems (VMS). Like Snap, it is also well suited to control room environments. One of the examples they demonstrated to us at ASIAL, was car park monitoring. They showed how they could set a rule that if a person walked up to a parked car, paused and then moved to another vehicle, the system would identify this as suspicious behaviour and alert operators. This activity is representative of people looking into vehicles to see if they are unlocked or valuables are visible. Control room operators are not likely to detect this sort of activity. If they happen to glance at a monitor, the person will just look like any other passer-by returning to their car and the activities of the individual is unlikely to look suspicious. However to Ipsotek, the system knows what “logical” travel looks like in a car park environment and will flag the exceptions. This means that security staff are then able to intervene before a loss occurs. This is what good security is all about. Ipsotek also has a “tag and track” feature which allows you to tag a person and then hand the tracking of the person over to the system to manage. It also has sufficient intelligence to be able to search for people based on the colour of their clothing and their height. This is another great example of where video analytics is heading. Matryx has been of the view for some time now that sitting people in front of a series of CCTV monitors is a total waste of time. The operators won’t necessarily see what they are supposed to, and are an ever-increasing cost to the business. To be effective, tools such as these are required to get the most from your CCTV investment. Author’s note: Matryx are independent security consultants and are not aligned with either of these CCTV products (or any other CCTV products) and does not receive any financial compensation whatsoever from them.